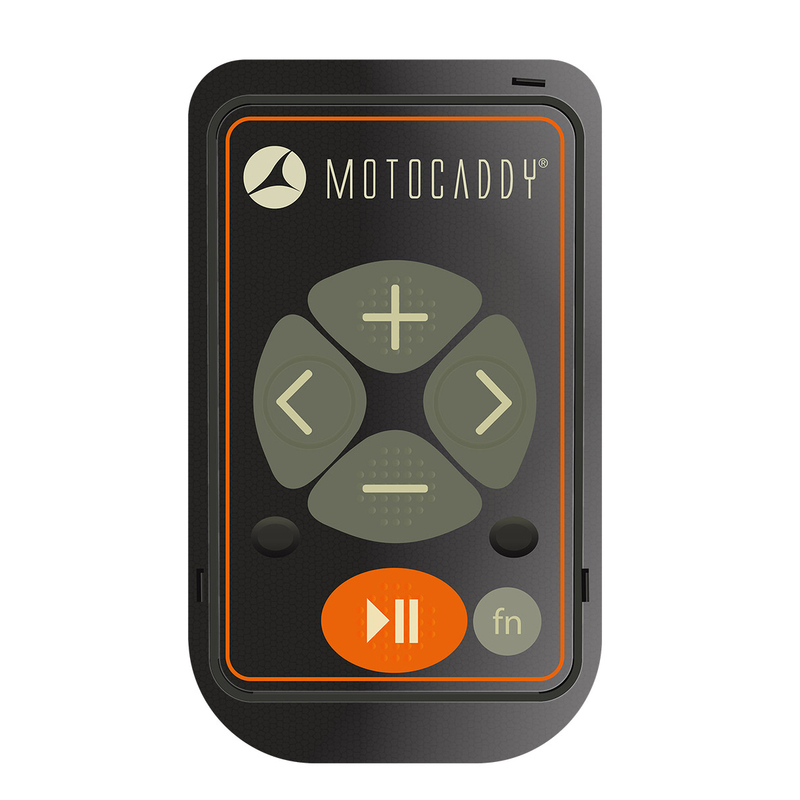 The Motocaddy S7 Remote is a remote control lithium powered trolley with one of the most sophisticated hands-free guidance systems, with a 50m range cut-out and 45s hibernation. 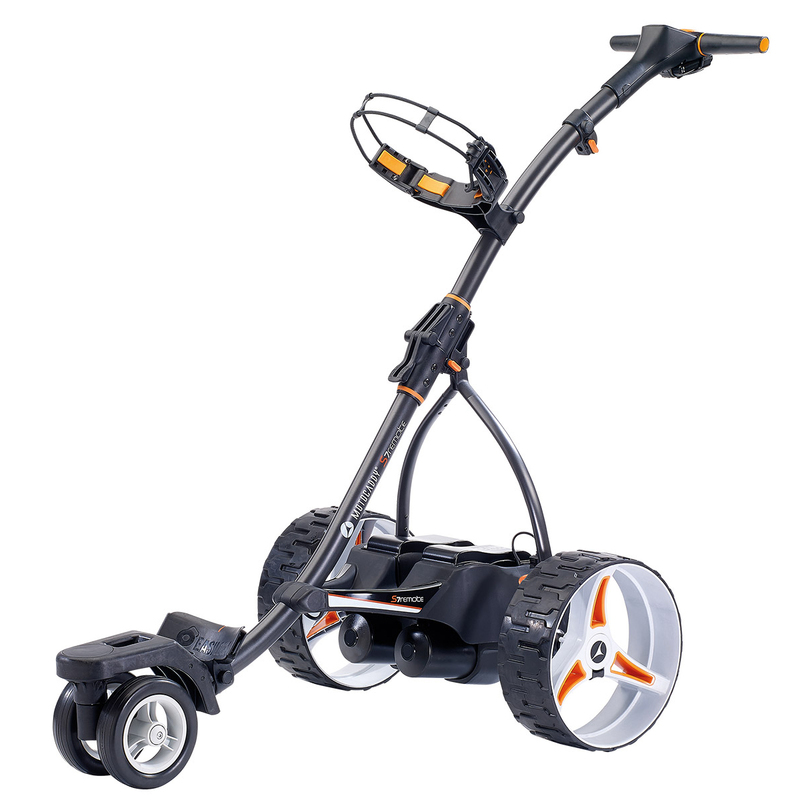 The trolley utilises the power of lithium power and provides extra precision with the aid of a anti-tip wheel to ensure the cart does not flip on steep inclines on the golf course. 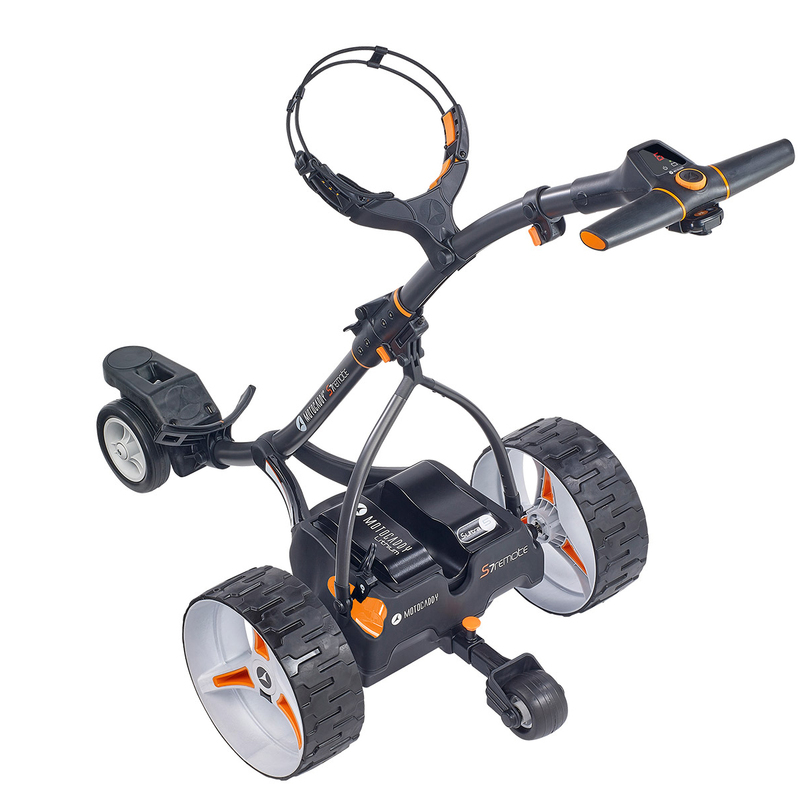 The trolley has forward, left, right & reverse controls and can easily turn out of any tight spaces. 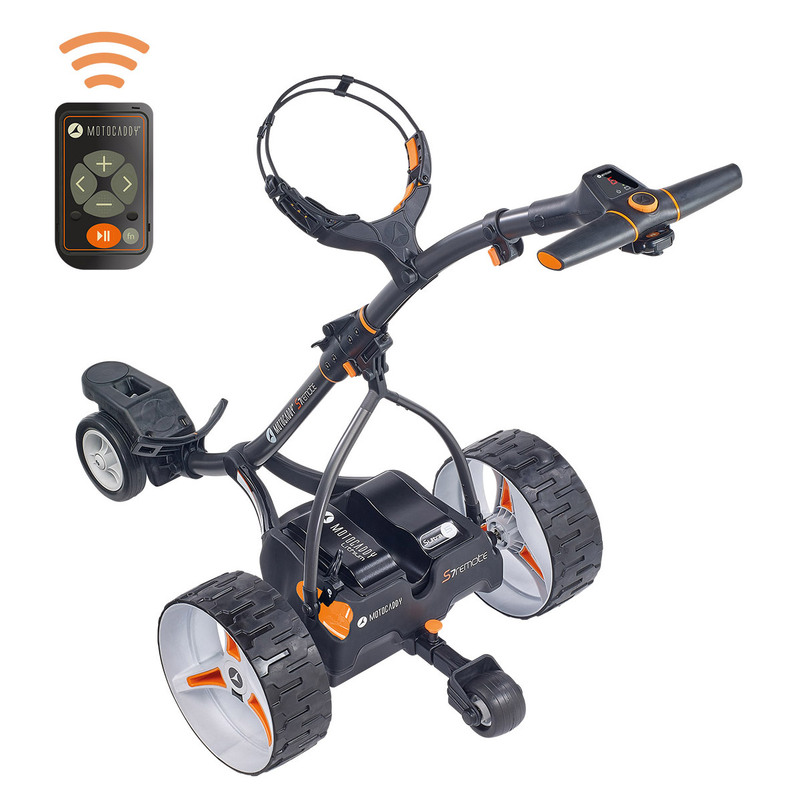 It comes with a re-chargeable remote control that allows you to adjust how much the trolley turns to the left or right simply by applying the buttons on the simple to use handset, plus has a soft-touch ergonomic handle with nine speed settings and digital display. 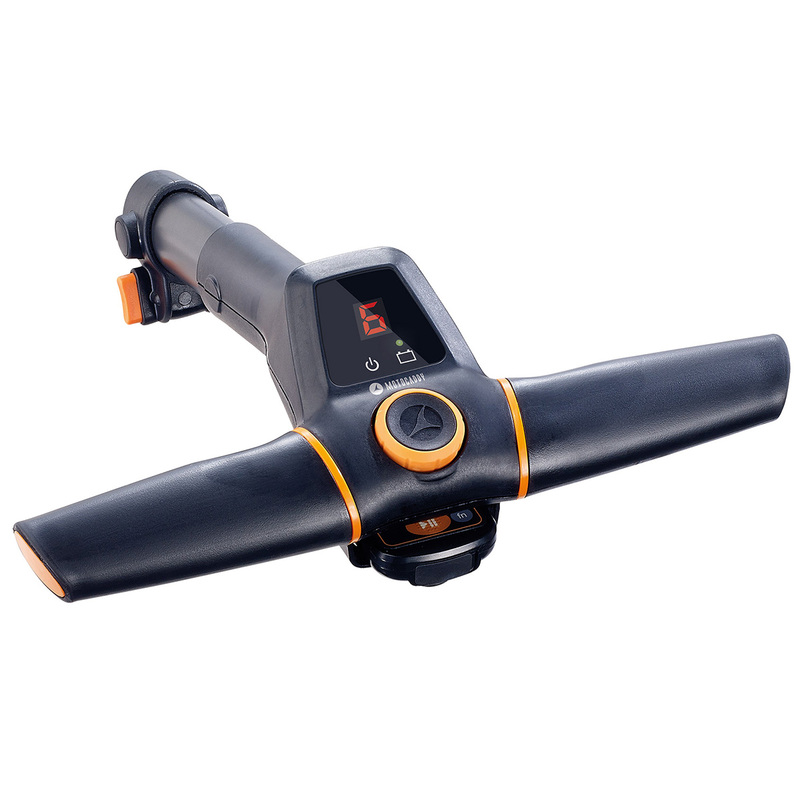 The system can be easily transported by using the QUIKFOLD assembly mechanism which is easy to use and will fit into tight spaces. The system is also EASILOCK compatible so if you have a cart bag that uses the system you can place this straight on the the cart with a secure fitting. Another great feature of the trolley is a USB charging port enabling you to access this port to keep you electronic devices fully operational. 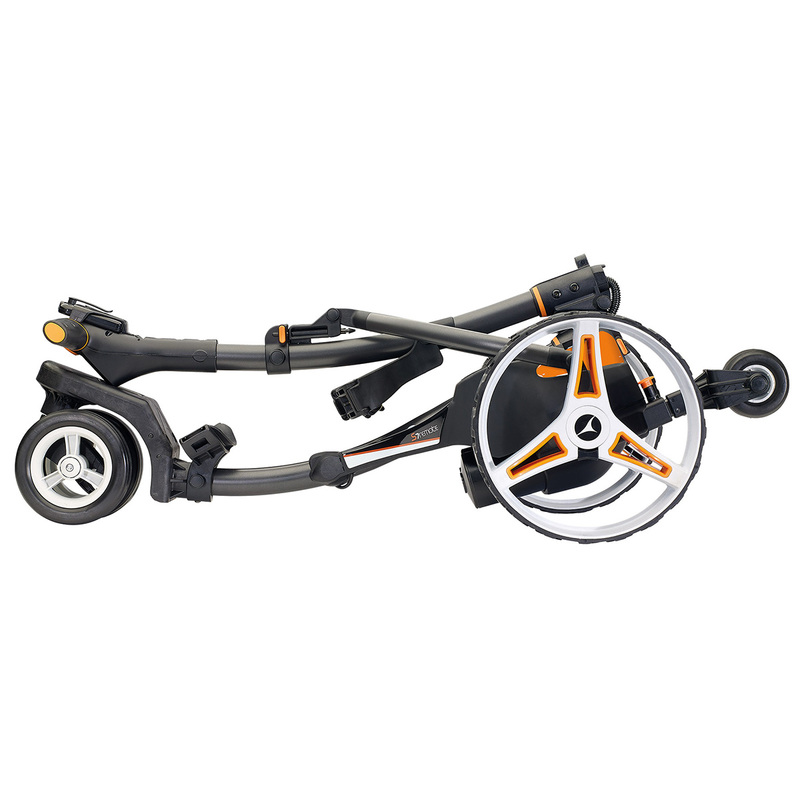 This trolley has exceptional power, thanks to the super light and compact Lithium battery. Lithium batteries last 5-times longer and have a faster charging time which lowers the cost per round, and comes complete with a manufacturer 5-year guarantee for added piece of mind. 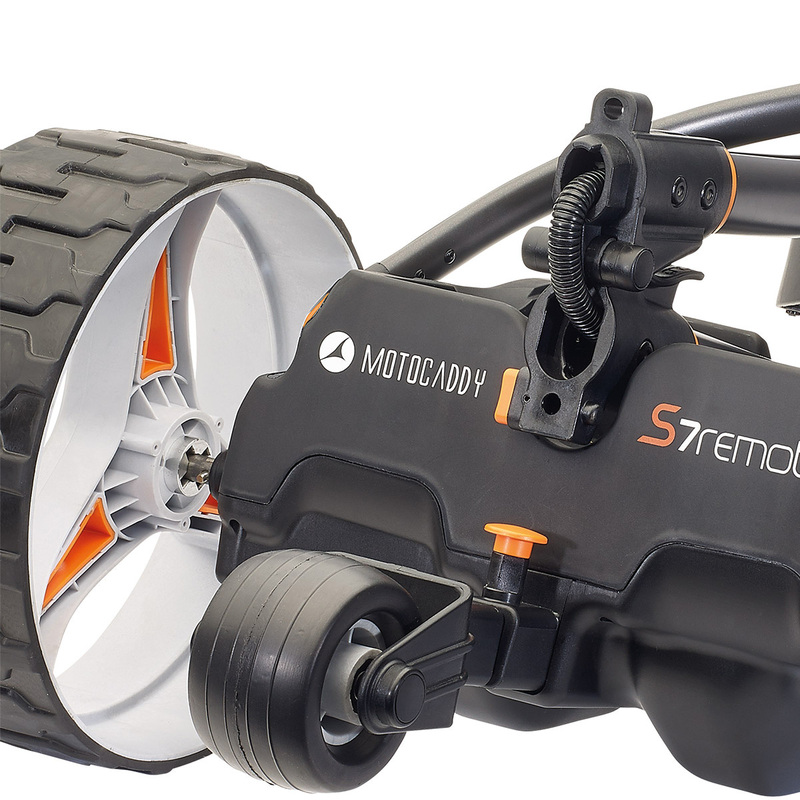 For golfers looking for a compact intelligent remote model with exceptional control, look no further than the Motocaddy S7 Remote Lithium Trolley.